See more objects with the tag personal, entertainment, music, digital, minimalism, portable, sleek, innovative, aluminum. This is a Digital music player. It was designed by Apple Industrial Design Team and the design director was Jonathan Ive and manufactured by Apple Inc.. It is dated 2005 and we acquired it in 2009. Its medium is anodized aluminum, polycarbonate, abs plastic. It is a part of the Product Design and Decorative Arts department. 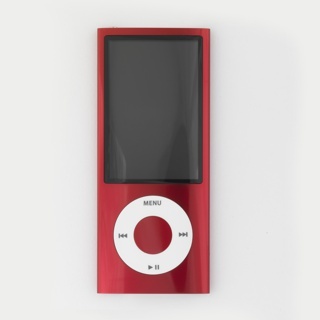 Apple’s iPod and its variants are among the most influential personal appliances of the 21st century. Building on the iPod’s technology and success, Apple introduced the first of its smaller iterations, the iPod Mini, in 2004. The Mini featured a slimmer rectangular body with gently curved sides that fit easily in the palm of the hand and was available in several colors (silver, pink, pale green, and blue). The Mini introduced an innovative click wheel control; set flush in the Mini's face below the digital screen, the click wheel is minimal and intuitive, utilizing only the word "menu" along with three simple directional symbols on its white surface. It is smoother in look and operation than its predecessors—the mechanical scroll wheel and touch-sensitive wheel—and complements the clean lines of the Mini. 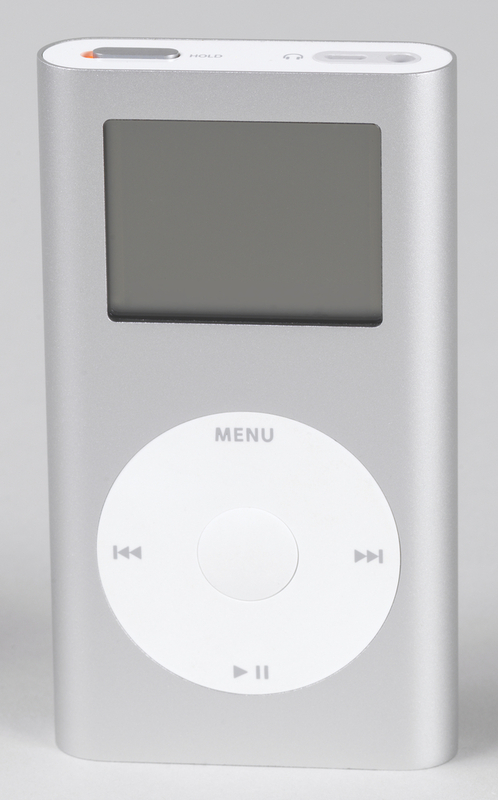 Despite its popularity, the Mini was discontinued a little over a year after its introduction, superseded by the even smaller Nano, which returned to the simple white design of the classic iPod. It is credited Gift of Judy Francis Zankel.